Home » Comedy » The Boys are Back! 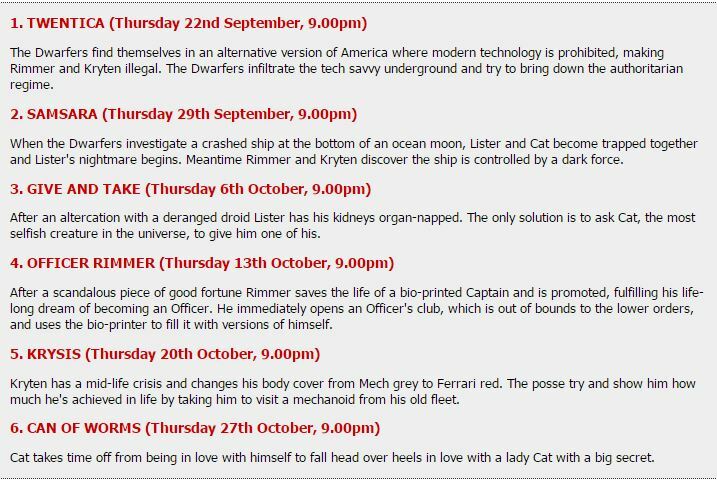 RDXI begins 22 Smegtember on Dave! 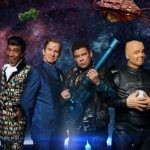 As most of us ‘smegheads’ are painfully aware, it’s been a long, long four years since we last visited with the boys aboard Red Dwarf, the mining vessel owned by the Jupiter Mining Corporation. 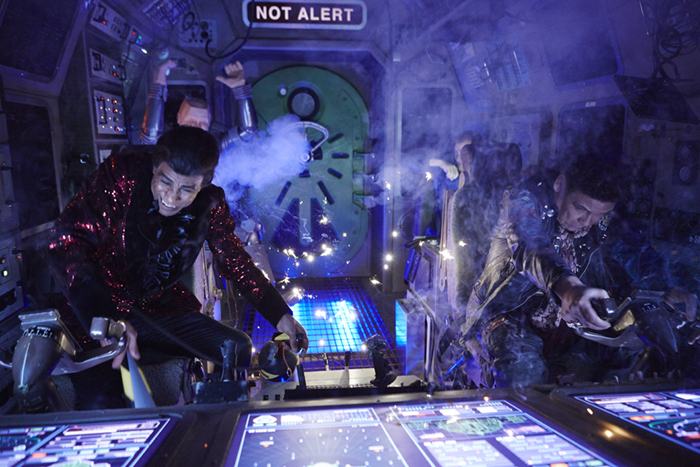 It’s hard to believe but it was way back in October 2012 when Red Dwarf X graced the small screen with some brilliant work from the mind palace of co-creator/writer, Doug Naylor. It’s time to channel your best Nigel Tufnel and crank the amp to XI…or, RDXI! 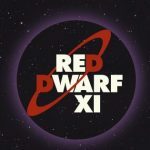 Affectionately known as RDXI, the eleventh series of the legendary sci-fi comedy, has once again reunited the original cast of Chris Barrie (Rimmer),Craig Charles (Lister), Danny John-Jules (Cat) and Robert Llewellyn (Kryten) along with a host of guest stars for a brand new series recorded earlier this year in front of a live studio audience at Pinewood Studios. Word is that James Buckley of Inbetweeners fame will appear in a ‘mystery role’ in the forthcoming series. Evidently, Buckley is a massive Red Dwarf fan so was understandably elated. “It was like Make A Wish. I felt like a little sick child. I was on set and to be in an episode… I can’t say too much but I don’t think you’ll recognize me. You’ll hear my voice but you won’t be able to recognise me, ” Buckley said. For those on the lucky side of the Atlantic Ocean, here’s the schedule for the upcoming Dave schedule for RDXI. 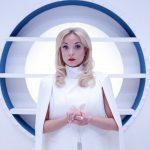 Please feel free to comment here once you’ve seen and let the unlucky ones in on what we are missing! Hopefully, this will come to public television sooner rather than later. We’re working on it! Cheers. 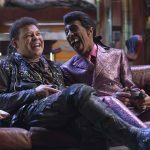 Red Dwarf XI begins Thursday, 22 September on Dave.